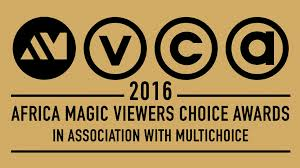 Home / Features / TV/Film / Who Made The Cut For The 2016 Africa Magic Viewers Choice Awards Nominees List? Who Made The Cut For The 2016 Africa Magic Viewers Choice Awards Nominees List? In their usual style commonly known as the AMVCA Nominees Announcement Ceremony, Africa Magic announced the nominees for the 3rd annual Africa Magic Viewers Choice Awards on Friday, 11th December, through a live broadcast on their various channels. "It was a star studded event this evening as Africa’s top film makers, actors and actresses crossed fingers and toes in the hopes of being nominated for the prestigious AMVCAs 2016! Some of the films that stood out for the crowd were Nigeria’s ‘Road To Yesterday’ as well as the South African ‘Tell Me Sweet Something’". Says Africa Magic. The awards celebrate African film and television, from on-air talent to behind-the-scene talent. Get voting here or vote on WeChat: AfricaMagicTV.